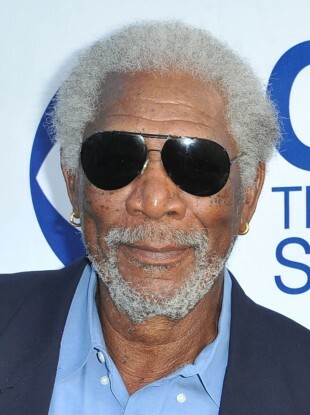 VETERAN ACTOR MORGAN Freeman has had a lucky escape after the plane he was travelling in was forced to carry out an emergency landing. During take-off the plane he was travelling in blew out one of its tyres, forcing it to carry out the landing in Tunica, Mississippi. The BBC is reporting that the plane, a SJ30 Jet, had been travelling from Clarksdale, Mississippi. The only two people on board were Freeman and his pilot. His intended destination had been Texas where he was going to shoot part of The Story of God, a documentary series that looks at the origin of religion and is broadcast on the National Geographic channel. Sometimes things don’t go as planned and a tyre blew on take-off which caused other problems. But thanks to my excellent pilot Jimmy Hobson we landed safely without a scratch. “I cannot say the same about my plane. I appreciate the concern and prayers for our safety,” he went on. Back in 2008 Freeman was involved in a car crash – which also happened in Mississippi – that resulted in him breaking a number of bones and suffering nerve damage. During the course of a fifty-year acting career he has been nominated for several Oscars, taking home the Best Supporting Actor award in 2005 for his role in Million Dollar Baby. Email “Morgan Freeman in emergency plane landing ”. Feedback on “Morgan Freeman in emergency plane landing ”.